I've been searching in vain for a cheap alternative to bubble wrap that is more eco friendly. Well, unfortunately being cheap AND eco friendly don't go hand in hand most of the time. Sure, paper isn't that expensive, but it sure isn't saving money when I have tons of news paper in the house. Solution? Shred the unwanted news paper that is ALWAYS in the mail box. 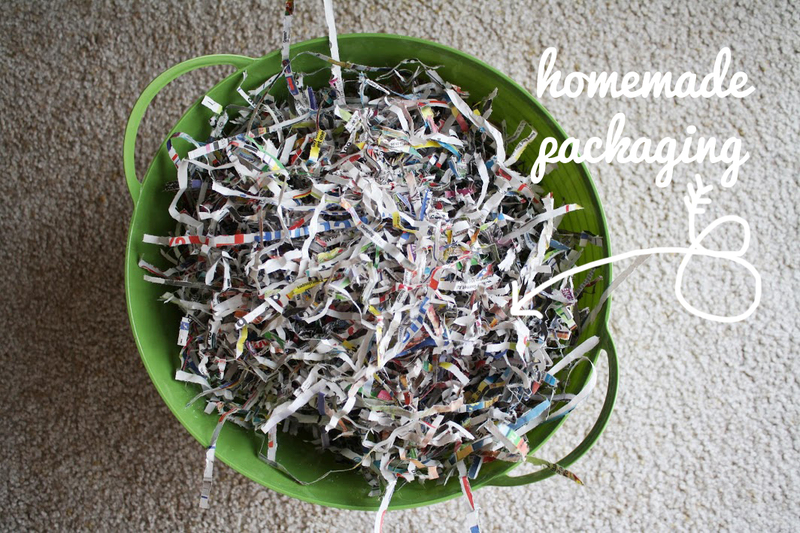 Step 1: Shred the news paper. Step 2: Store in a cute bin so you can admire your cheap handy work. So rest easy! If you buy anything from the shop it will arrive at your door with pretty shredded paper to keep it from getting squished. What about you guys? Do you re-purpose anything around your homes?